I came across Barefoot Blonde's pin on Pinterest of her rocking her leopard print and leather pants. It had these easy coolness that I love to wear myself. I knew this was something that I needed to try and pull off. 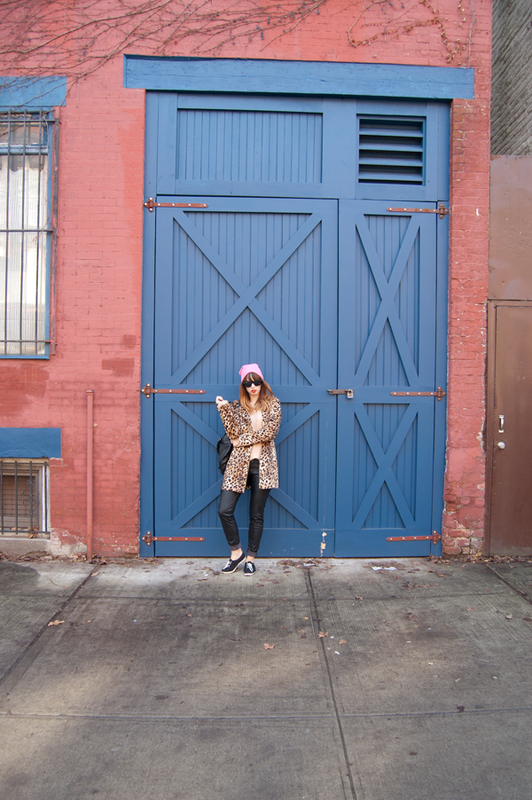 I mixed my new favorite leopard print jacket from Calvin Klein that I picked up on a steep discount at Fox's with my H&M leather pants. A slouchy top and my favorite neon beanie polished off the look. This is personally my favorite Saturday look: casual, cool, and chic. Love this inspirational look- you pull it off so well. 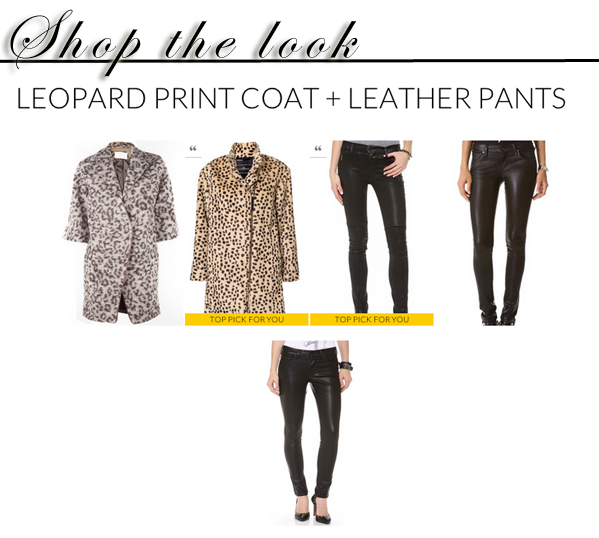 That leopard coat is fabulous and I've been meaning to add a pair of coated or leather pants to my closet. Love your pink beanie hat with the leopard!!! INCREDIBLE!!!! LOVVVE your style! SO ROCK n' ROLL!!! Love your blog- great images.